Our back end web servers have hardware firewalls at the rack level to help prevent things like DoS and DDoS attacks as well as hack prevention. We have separate software firewalls on the web servers as well as a prevention measure against brute force attacks. We do daily offsite server storage backups of your private data and web site for added security. Allow all associate brokers at your firm to collaborate and be on the same page, but gives each broker specific permissions and ownership of their listings and buyers according to the procedures and policies of your company. 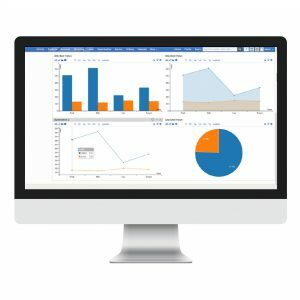 Manage your firms dataon all listings, buyers and deals. Easily access all transactions and communication. 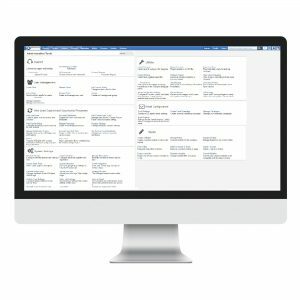 Easy access to unique system preferences such as templates, dashboard widgets, user accounts including call center, broker, admin permissions for different type of users and company wide forms. Edit the company intranet so that each day you can communicate with your brokers who log in from different locations. Automatically generate personalized buyer registrations, listing agreements, listing profiles, marketing brochures, seller reports or any type of document based on already recorded information from buyers, listings, or sellers with customized templates. Save time and money and minimize the paperwork. Create complete financial snapshots of your listings include a picture gallery, description, listing number, contact information, profit and loss, seller information. Record all buyers that have viewed that listing and who have visited that listing, create time stamps and paper trails of who has viewed your listing. Show non confidential information on the front end of the website to unregistered buyers in their personalized Data Room and choose what information you want to show to registered buyers on each buyers personalized confidential Data Room. Prospective buyers that visit your web site can register and sign your confidentiality agreement directly on your front end web site. All activity is tracked and recorded in the CRM. Track the type of businesses that they are interested in and approve their registration with the click of a button on the CRM. Eliminate the faxing in, printing, and storing of documents. 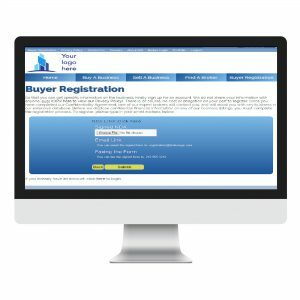 Have the buyers register in a fraction of the time previously needed to provide confidential information to your buyers. You no longer need to email a registration, instruct the buyer to fill it out and then fax it back to you. Everything can be done online instantaneously. Track all information about your buyers. How much money do they have? What industries are they interested in? What are they looking at now and their time frame for purchase? This powerful tracking feature allows you to quickly view what businesses buyers have seen and inquired about in the past. Take all of this information and use it to your customers benefit. Send them the latest listings that meet their criteria. The CRM will automatically detect information from a profile sheet that you can put together for each buyer and make recommendations to your buyers regarding their interests. Use the systems automatic profiling software to compare those profiles with the Business Profiles and have the CRM automatically notify you and the buyer regarding any relevant matches. Upon completing your buyer registration/confidentiality agreement and being accepted as a registered buyer, your buyers will be given a username and password to log into their personal Data Room on your front end web site. Your buyers will be able to review multiple listings from a dashboard or personalized Data Room for the buyer. Your buyers will appreciate the ease in which they can review information about your listings. They will be able to see any and all information that you allow them access to including a detailed description, photo gallery, financial information and any other information that you specify as important information for your buyer to view. In addition, the broker can release addresses from the back end CRM, create a paper trail and then the buyer will be able to see that information in there portfolio. The buyer can communicate with the broker from the portfolio by requesting additional information, addresses and/or a call from the broker. Everything is time stamped and logged for security and compliance and so you can better understand and serve the needs of your buyers. This creates faster engagement between your brokers and your customers. This increases the speed of communication between brokers and buyers thereby increasing the chances of earning a commission. The individual broker dashboard gives each user a real-time snapshot of their listings, activity, calendar, appointments and tasks, messages, registered and unregistered buyer inquiries. It provides the individual broker with their most active and recently active buyers, most active listing in the system and listings that need to be updated because of pending expiration. Newest listings from the company and price updates, and many more customizable tools and widgets that can be customized to each individual users preferences. Easily rearrange the windows on your dashboard screen. Simply drag and drop the windows to customize multiple widgets and tools for a personalized layout. Send automated emails to all relevant parties in any transaction on your front end web site. For example, when an unregistered buyer visits a listing on your web site and requests information, that listings broker will be automatically notified to contact the new buyer and get them registered. When a registered buyer clicks on a request for information on a listing from their personalized portfolio on the front end web site, the buyers broker and the sellers broker will both be notified and instructed to service the clients needs. Brokers are automatically notified when listing need to be re-listed or updated according to your predetermined time limit. Brokers have the ability to release a listing address from the CRM. When they do so, the buyer will see that address along with the business profile in their personalized online portfolio and an automatic email will be sent to that buyer and associated brokers notifying them of the address release and create a paper trail of that fact. When a broker wishes to release the address of a specific business listing to a buyer, the have the option of pressing a button in the CRM and creating a chain of events. The Address release button will send an email to the buyer notifying that buyer of the address. At the same time, the buyer can log in to their Data Room on your front end web site and view the complete business profile along with the address. The listing broker and the broker representing that buyer will both be notified via email regarding that address release with instructions to service that buyer. 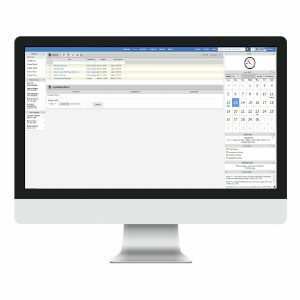 Have your entire organization centralized on BBCRM’s flexible calendar module increases broker action visibility and productivity. Brokers can easily schedule any type of event for individuals or groups, and set status, priority, reminders, and a myriad of other options. Associate events with contacts, accounts, or any other record type. Color code your events using the customizable color selector, complete with significance legend. Automate calendar event using our workflow and increase productivity. As long as you can access the internet, you and your brokers can run your business from anywhere in the world. All data is stored in the cloud and your buyers will do all the work for you! 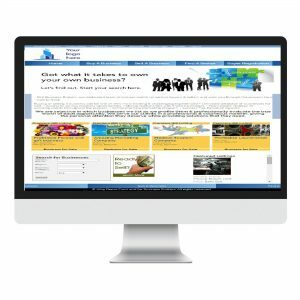 The web-based software is a tool for you to market businesses more effectively and efficiently than you could possibly imagine. When brokers log in to the CRM you can communicate with them in the form of newsletters, new listings, priority memos etc… You can provide your team with a weekly pep talk or any type of information that will help your team. This is a great way for to maximize internal broker & admin communication. Store any documents that you may need online from within the CRM. Easily upload and download any documents or files for business use. Documents can be stored with public permissions so all brokers can access them or they can be stored with individual broker permissions. All from within a windows explorer like interface. We provide you with a rich text editing tool and document management system where you can create generic documents, email templates, agreements, profiles, PDF’s, pictures, as well as upload any other type of file you might want. For each document you can choose options like whether it should be visible to other users and the permissions others are allowed for that document. Users who log in with their Google IDs can also see and access all their Google Drive files. 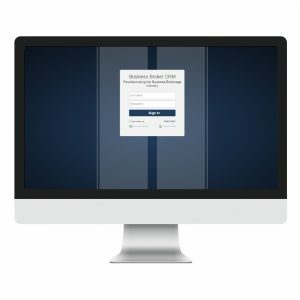 Generate email templates for your sales, service, and marketing teams to use repeatedly, increasing their efficiency and unifying the customer experience. Automatically generate personalized registrations, listing agreements, listing profiles, marketing brochures, seller reports or any document that you need based on already recorded information and customized templates. Save time and money, look professional, and minimize the paperwork. Automating tasks and procedures increase employee productivity and allows you to extend the reach of your organization without hiring and training new employees. Our workflow module, is an intuitive workflow designer and engine where you can leverage your data and create sophisticated workflows incorporating a variety of actions and conditions . Drop down menus and drag & drop capabilities are used to establish, actions and triggers, along with associated conditions which must be met before any workflow is executed. Then the flow actions will be automatically performed, allowing your team to work on your primary focus and let the system do everything else for you. Easily view statistics regarding your listings. How many buyers have viewed any specific listing over a specified time span. See how many buyers have received an address and visited a listing. Compare listings to improve sales and marketing for less popular listings. You can never be too careful. Every time an address is released by the broker, it is logged in the system. Each time a buyer (or broker) logs into the system it logs the event. The CRM tracks when a buyer requests information. Generate a report for sellers on the inquiries over the lifetime of the listing. Automated emails are sent to the respective parties and a record is created in the system in order to track every transaction and event. Logs can be generated at the click of a button. The customer is always right! You have the option of putting your front end web site in multiple languages. This option is great when you have a large ethnic clientele that will appreciate your web site in their mother tongue. Our marketing package is an all inclusive Search Engine Optimization (SEO), Social Media, Marketing, and Conversion Rate Optimization (CRO) package. Search Engine Optimization (SEO) focuses on driving targeted traffic from search engines to your site in order to increase quality leads and sales. Since most website traffic comes through Google, Yahoo, and Bing searches, we optimize your site to enhance its ranking within search engine results. By using Google Analytics, Google Webmaster Tools and Bing Webmaster Tools among others, we can accurately monitor how well your site is doing and how to best optimize it to drive more traffic and valuable leads. Through employing social media, we are able to create greater awareness of your brand. We use many different platforms including; Facebook, Twitter, Pinterest, Instagram, LinkedIn, Google +, TripAdvisor, Flickr etc We work with you to create the best social media strategy for your company. Conversion Rate Optimization (CRO) is often the easiest and least expensive option for optimizing sales with the highest return on investments. For more information, please visit What is Business Brokers SEO? Connect your CRM to any external applications and interfaces using the robust API. This second generation HTTP-based API can help you seamlessly integrate with your existing software and third party frameworks. Create, modify, and delete records directly through API commands. Work with associated actions or enact process stages. Connect to Zapier, Google, Twitter, and more. Make remote API calls in Workflow automation sequences and automate your integration. And, we can modify and extend the functionality of your system according to your specifications. Download all of your data at any time and simply port it over to any other system of your choice. Your data belongs to you, so you should have the ability to completely download it and work with it in any way that you choose. Easily import or export all data, contacts, leads, businesses, events, transactions, and listings with a .csv file. All data and logged activity, history, documents, and marketing campaigns can be downloaded as usable and in a meaningful form. The CRM system automatically matches buyer and business profiles and alerts the broker to take action regarding a potential deal. Based on previously entered criteria such as region, price range, down-payment, industry that the buyer chooses in their profile, the CRM will match up those buyers when a new listing is entered into the system. This software CRM was designed for use by individuals without any technical experience. You can learn the system with all of its functionality and become productive within a matter of minutes. However, we are available to provide you with on going and in depth training for new brokers and employees and we are committed to your company working in the most efficient manner possible. The rise of social media, smartphones, and mobile apps has changed our expectations when it comes to consuming information and communicating with others. In short, everything must be easy and instantaneous. The activity feed widget is the social hub of the CRM. With the Activity Feed you can keep an eye on everything going on in your business. You have access to all posted events in an intuitive, social network style feed, as well as the capability to filter the information in any manner needed. You can filter the feed by user, event type, social subtype, and in many other ways. In addition, with the rich text editor you can send any type of message, along with files and photos, to specific colleagues or groups of colleagues, and you can choose whether or not the message appears in the Activity Feed of other users by making the post public or private. The Activity Feed also has flexible charting capabilities so you can quickly spot trends, issues, and opportunities. The feed displays a list of all recent public actions filterable, of course, in a number of ways. You can post messages of varying sorts, along with files and photos, either to specific colleagues or groups of colleagues, and you can choose whether or not the message appears in the Activity Feed of other users by making the post public or private. You can filter which event postings you see by ticking or unticking their names from within the feed. You can set filters based on many different parameters of your choice. Brokers can communicate or chat through the social functionality of the activity feed found on each profile page. Enter any text or attach a file to a post in order to communicate efficiently with colleagues. The post can be made public and thereby, appear in the activity feed of all users, or it can be made private for individual chat.